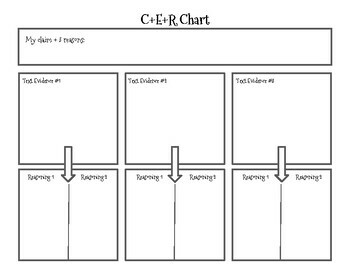 Use a CER chart to add text evidence and reasoning/explanations. You can turn a CER chart into a 5 paragraph essay easily. This is a great graphic organizer for students to use to gather their thoughts and text evidence for a literary analysis.